J & L X-Press offers innovative, single-source logistics and supply chain solutions for businesses large and small. We have the resources to consolidate your logistics services – and the expertise to identify and eliminate weak points in your supply chain – to streamline your processes and improve your bottom line. Whether you need integrated, intermodal, multimodal or collaborative logistics, we can partner with you to improve efficiency, reduce costs, and achieve faster, more reliable delivery. Our extensive trucking fleet consists of tandem axle semi tractors, dry van & temperature controlled trailers, Landolls, flatbeds, open decks and more. 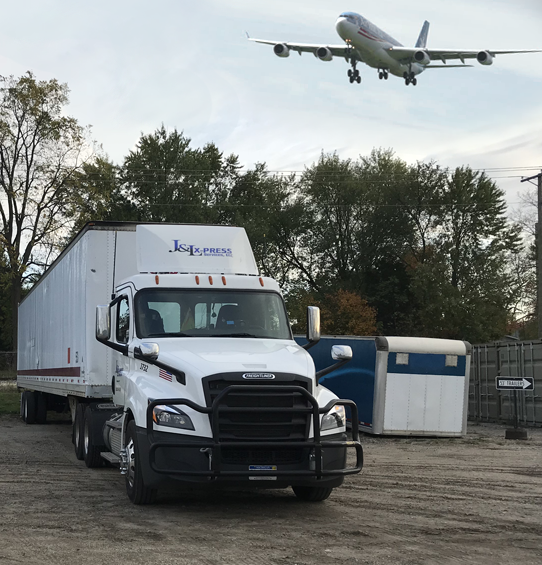 And our holdings consist facilities with over 3 million square feet of warehouse and industrial storage space throughout Southwest Michigan and upper Indiana. J&L X-Press logistics specialists can help your organization design, plan, implement and manage every aspect of your supply chain – customizing a solution tailored to fit the scope and specifications of your logistics needs. For efficient, reliable, sustainable, cost-effective, turnkey logistics solutions anywhere across across the Midwest. Call for a free logistics quote and start saving money today.